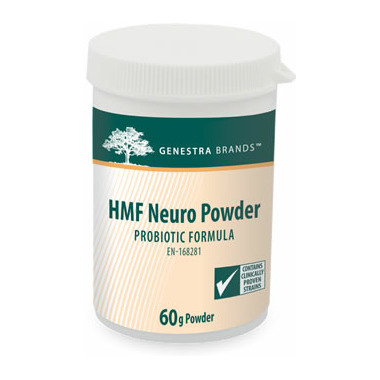 Genestra HMF Neuro Powder is a probiotic formula with L-glutamine. 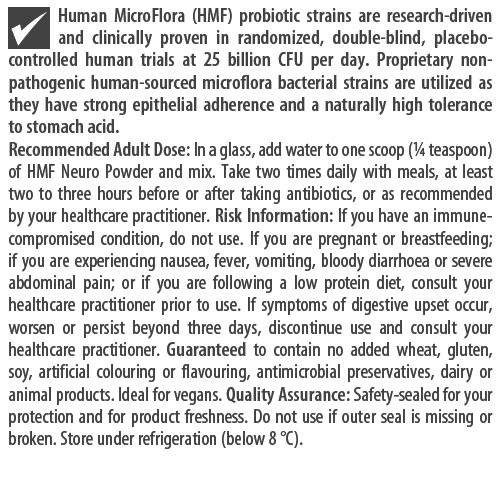 HMF Neuro Powder provides five strains of proprietary human-sourced probiotics that help support intestinal health in adults. The intestines are critical barriers that allow the absorbance of selected compounds and promote the excretion of dangerous substances. Probiotics compete with pathogenic bacteria for colonization of the gastrointestinal tract, and supplementation with large numbers of a combination of microorganisms helps maximize the growth of beneficial bacteria. In addition to decreasing bacterial survival by stimulating the production of antimicrobial peptides from host cells, probiotics strengthen the epithelial barrier. They mediate the integrity of tight junctions, which control permeability, and increase the release of mucin, which forms a gel on the intestinal surface that prevents pathogens from adhering to cells. Collectively, this decreases the entry of bacteria into circulation from the intestines to help maintain optimal health. Great product. Helps the whole family. 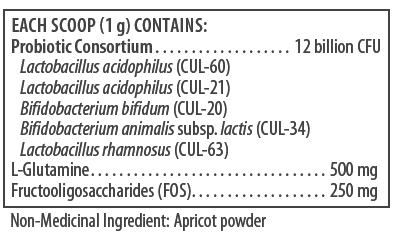 Hard to find a dairy-free quality probiotic! Very good. Easy to add into a smoothie and fast results!